In 1911 (the) J. Rooke Corbett published a list of the twenty-fives of England and Wales ( 1911, Rucksack Club Journal (RCJ) II, 61-65 ). The following year he published a few additions ( 1912, RCJ, II, 166 ). Later he published a revised list ( 1929, RCJ, VI, 337-344 ) and a few more were added by Edward Moss ( 1933, RCJ, VII, 273-274 ). W.T. Elmslie published a list of the two-thousands of England and Wales (1933, Fell and Rock Club Journal, 9, 344 ) using the half-inch Bartholomew map, which has 250 foot contours. Then in 1937 F.H.F. Simpson published a list of the 2000's of the Lake District using the one-inch map and a 50 foot contour ring definition ( 1937, Wayfarers' Journal, 5,18-24 ); this list included Honister Crag (North Star). This was soon followed by Edward Moss's list (using the same definition) for the rest of England ( 1939, RCJ, IX, 184-189 ) and for Wales ( 1940, RCJ, IX, 239-243); the Welsh list included some of the recently rediscovered tops. 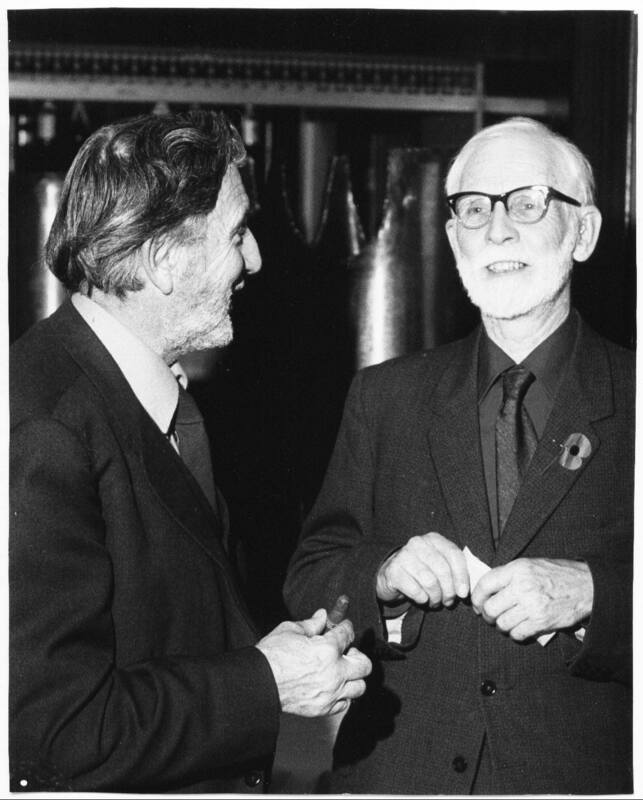 When Edward Moss had visited every summit he published an article, All those two-thousands (1952, RCJ, XII, 67-70) , which included some additions to the lists; further additions were noted in 1954, RCJ, XII, 276 . Subsequently he completed his visits to all the county tops of England and Wales. His achievements are recorded on pages 224-225 in "Mountaineering in Britain" by R. W. Clark and E. C. Pyatt (Phoenix House 1957). I wrote an article about Ted Moss's background for Myrddyn Phillips' blog. 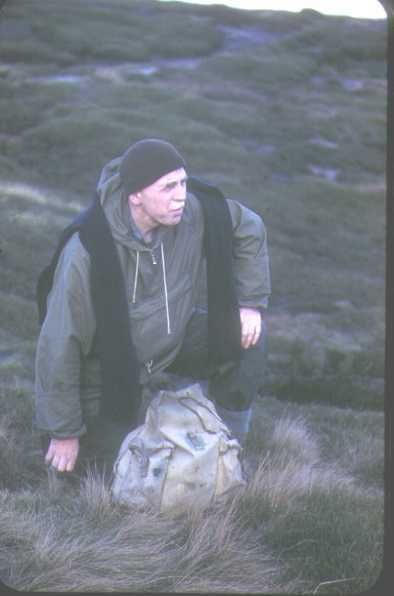 Here are two photos of him in the Rucksack Club Archives: Ted Moss on Kinder Scout November 1960 taken by Frank Solari; with Keith Treacher (left) taken by George Hostford at the 1982 Rucksack Club Dinner. Keith completed Ted’s lists and it’s more than likely they were discussing 2,000’s. Keith wrote the biography of Siegfried Herford, a leading rock climber before the first world war. Recently a number of books have appeared on the 2000's of England and Wales. Apart from the first of these, by Bridge, little reference is given to the earlier lists, although they were always available, if not actually in print. They are now republished here. I finshed the then Lake District list while still a student. I note that the Nuttalls have now recognised Black Star above Honister pass, which was on Simpson's original list, though they call it North Star. It is some time since I completed the Welsh list including the recent new Nuttalls: Cnicht N Top in the Festiniog group and Foel Meirch in the Carneddau, both of which were concealed under crag symbols on old maps, and Moelwyn Mawr North Ridge Top in the Festiniog group which had no contour rings on old maps. They have also promoted Craiglwyn in the Carneddau, Waun Carnedd y Filiast in the Arenigs, Waun Camddwr in the Arans, Waun Lefrith in Fforest Fawr and a new summit for Maesglase in the Corris group, all of which were on the original list. On retirement I moved to Cumbria for the orienteering, croquet and fellwalking, and to climb those Pennine 2,000's that I had not yet visited. It has taken more than 55 years to complete the 2000's of England and Wales. Here is an article I wrote for the Rucksack Journal when I completed All Those Two-Thousands (2007, RCJ, XXV (1) Issue 96, 111-117) . Recently I discovered that, not only did I go to the same school as Corbett, I also went to the same college. I was a molecular physicist. 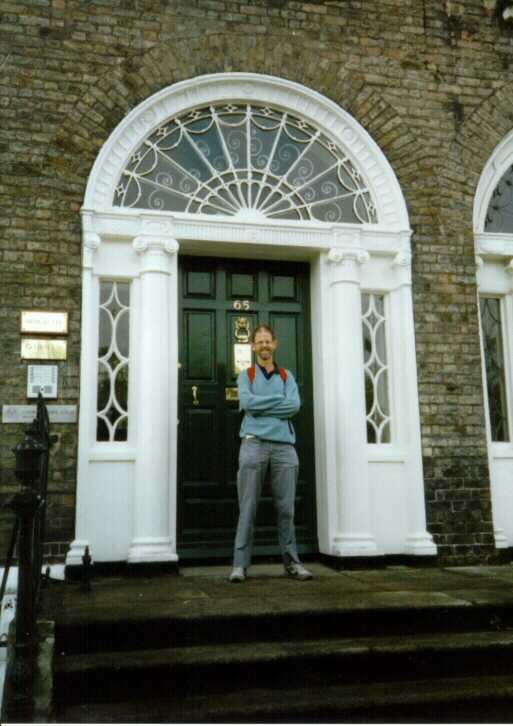 Here is a photograph of me standing outside Schro"dinger's house in Dublin. Any opinions are my own.